Product prices and availability are accurate as of 2019-04-23 08:17:26 UTC and are subject to change. Any price and availability information displayed on http://www.amazon.com/ at the time of purchase will apply to the purchase of this product. 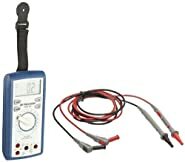 The Kyoritsu 2000 digital multimeter (also known as a multitester) is an average -sensing, auto-ranging multimeter that measures current, voltage, resistance, and frequency, and performs continuity tests in electrical applications. An audible continuity sensor confirms that a circuit conducts electricity. 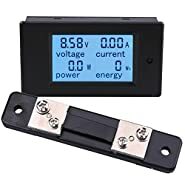 The built-in open clamp sensor measures AC and DC current up to 60 amp without breaking the circuit. The open jaws are designed for use in tight places or around crowded cables. The data hold feature holds a reading on the display for recording. Auto power-off turns the meter off when not in use to preserve battery life. The shock-absorbing holster protects the meter from falls. 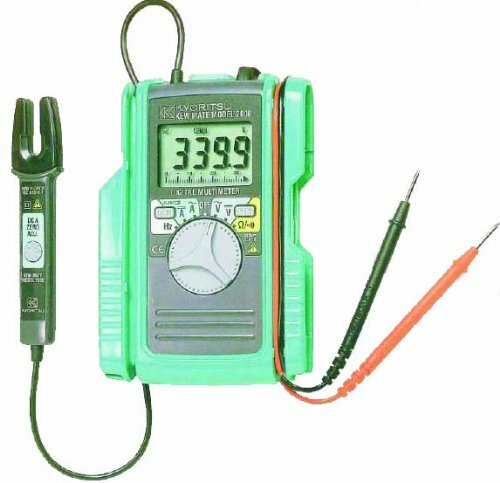 This average-sensing, or average-responding, meter provides accurate readings when measuring linear loads, such as standard induction motors and incandescent lights, where the current or voltage has a sinusoidal waveform. 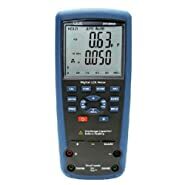 The meter is auto-ranging and automatically selects the correct operating range for the property being measured. The LCD has a 3,400-count resolution with a full-scale bar graph. The meter meets International Electrotechnical Commission (IEC) safety standard 61010 and is certified for Category II installations up to 600V, which covers large household appliances and devices connected to a fixed power supply (such as refrigerators and air conditioners), Category III installations up to 300V, which covers items used with enclosed building circuit installations (such as service panel parts, branch circuits, and fixed installations that are connected directly to a building's AC power supply), and Pollution Degree 2 for indoor use. 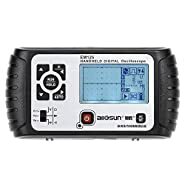 The meter includes two 1.5V AAA (R03) batteries and instructions. Kyoritsu manufactures testing and measurement tools for industrial and commercial applications. Founded in 1940, the company is headquartered in Tokyo, Japan.